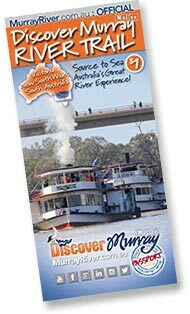 Welcome to Australia's National Discover Murray River Trail and Murray Touring Route. The Official Discover Murray River Trail was created to allow all you to explore, experience and discover the diversity of the Murray River, the mallee and gateway to the outback through New South Wales, Victoria and South Australia. The Murray River Trail is a great Australian experience as it windes through the unique river towns and 5 unique landscapes of Australia's greatest river, the Mighty Murray. 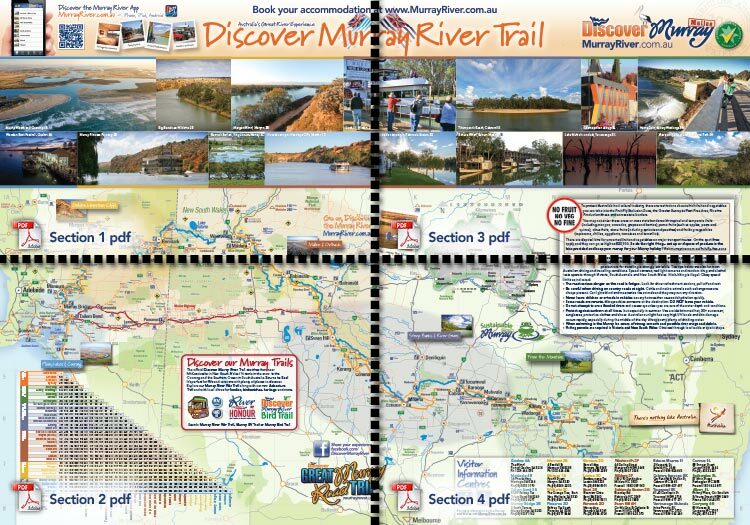 The Discover Murray River Trail is the perfect travelling companion for RV's or visitors on self drive holidays. On the reverse of the trail are town descriptions and historical facts. On the front are fantastic maps of the Murray River. You can use this website to research accommodation, houseboats, attractions, restaurants and other services in any towns along the Murray before you go or on the road. 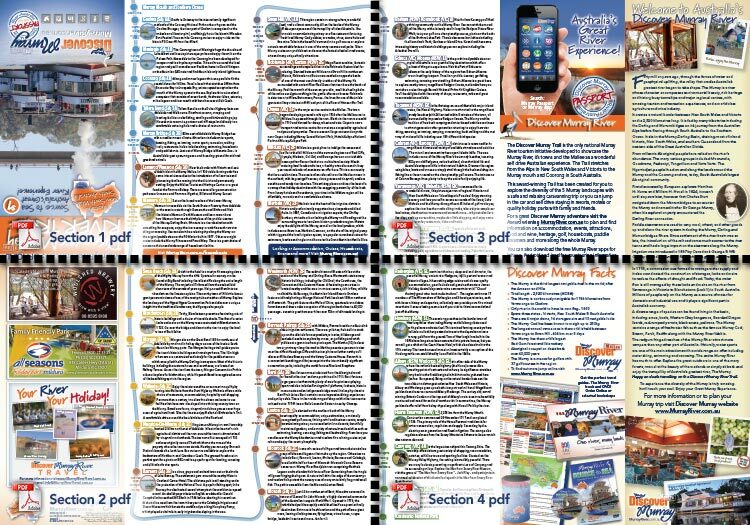 You can easily print the Discover Murray Trail directly from here either as one large A2 (420x594mm) trail or you can print off 4 A4 sections for the detail with 2 pages (front and back) in each file.